News and discussion about Microsoft's newest Halo game, Halo 5: Guardians has been scarce ever since the live beta finished earlier this Winter. Late last night, the Xbox YouTube channel uploaded a very interesting video about the new game. Alongside the new video, was a link to a Tumblr page with a countdown that ends Sunday night (March 22nd, 2015). The video depicts a sniper bullet with the word "TRAITOR" etched in it, as it's fired into and explodes a Spartan helmet. There is also a very interesting #HUNTtheTRUTH hashtag accompanied with the video, and the Tumblr page. If you click on the #HUNTtheTRUTH tab at the bottom of the Tumblr page, it opens a window to Tweet the following message "What seems like the end is only the beginning." What could all of this mean? Followers of the upcoming Halo game should be aware of the new character that will be showing up in the games story mode, Agent Locke. From the information and speculations you can put together from the live action Halo: Nightfall series, you get some decent insight about who Locke is. He is ordered to hunt and find Spartan 117 A.K.A Master Chief. On top of this rather interesting video teaser, Milk Colter, the actor who plays Agent Locke, says that Cortana will be making an appearance in Halo 5: Guardians as she returns to play her part. That also raises questions about what role could she be playing in the new game? Is she friend or foe? So many questions! I for one an pretty excited to see what this #HUNTtheTRUTH hashtag is all about. It's also notable that the helmet that gets shot at in the video is most likely representing something regarding Master Chief's character. I for one am expecting either another trailer released for a game, or maybe even something to do with the previously released open beta for Halo 5: Guardians. Tune back in tomorrow, March 22nd, 2015 at 9 PM EDT. Let us know what you think it might be in the comments below! Earlier this evening at 9PM EDT, the Tumblr page countdown was completed. Afterwards, a interesting 'blog' was revealed for Halo fans to view. From what I can tell, the Halo themed blog aims to reveal information about the new games story line in the form of a podcast produced by a character from inside of the Halo universe. I find this to be pretty interesting, The premise of the blog seems to be that the person recording these messages for whoever listens to them, to get a better insight of Master Chief and if he's really the hero everyone thinks he is. Following what we already know about the new installment in the Halo series, these messages sound like they will not be entirely biased, and might even reveal new information about the game. You can tune into the first episode below, and continue following the episodes on the Tumblr page. UPDATE 2: An official trailer and tweet have been released for Halo 5. We can also see that in the trailer, an official release date has been announced for 343i's new game. 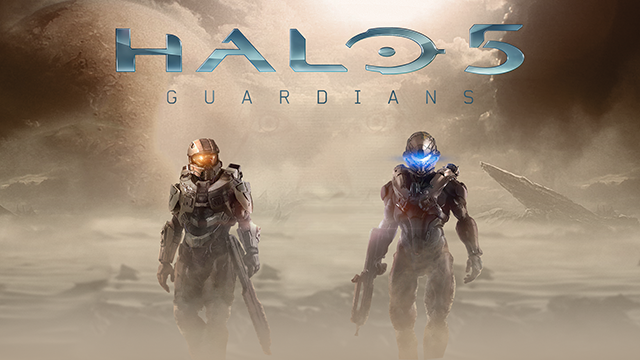 Halo 5: Guardians will be released on October 27th, 2015.